Get larger stronger parts produced quicker at a lower cost…. Something Australian Manufacturing needs to stay competitive. It took 37 hours to print the 1.2m spar section (used to form an aircraft wing) using a WAAM process; Wire and Arc Additive Manufacture and is part of a joint research project between BAE Systems and Cranfield University. First lets explain the current method. 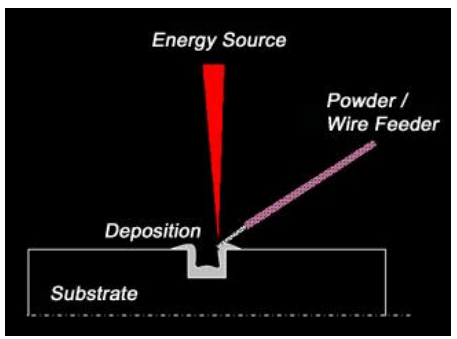 The main form of MAM (Metal Additive Manufacturing) process uses a powder, heating it up and builds the part layer by layer. This process can produce shapes with a high degree of complexity however has a low deposition rate and material deficiency which causes quality and flaw issues and comes at a high cost. Ti powder uses a gas process to turn the Ti into a powdered form and is actually explosive too. Click here for more info on this process. 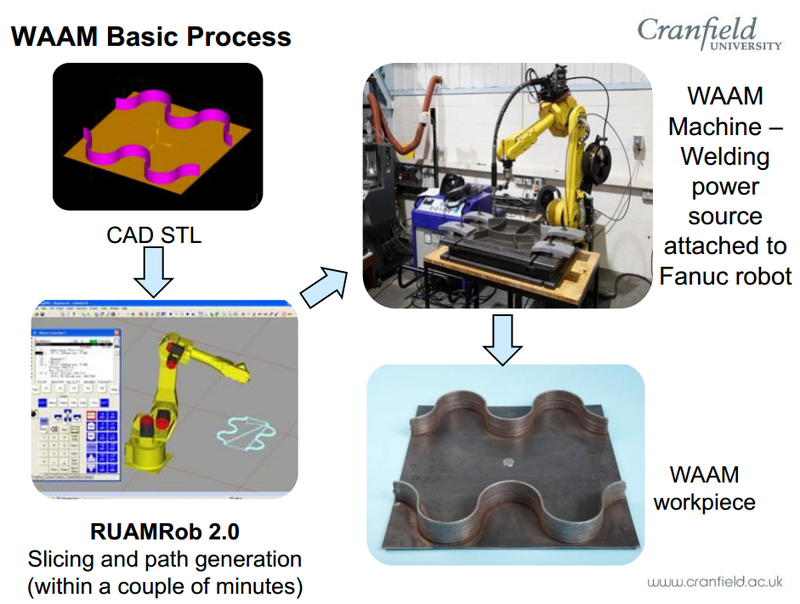 The primary objective Cranfield Uni had was to create large scale structural components using a MAM process, so instead of using Ti powder, they used a wire based approach modifying a robotic arm and adding a welding source building the part layer by layer. This hybrid method has the reverse effects, only being able to create parts at a medium to low level of complexity but the part sizes are bigger, the process has high deposition rates (several kg/h), a 90% material efficiency with no defects and at a low cost. Cranfield University has a long history in Additive Manufacturing and in 1994 developed Shaped Metal Deposition (SMD) for Rolls Royce for engine casings and other processes.